How to add or drop a class via your myNMSU account. Note: You are responsible for adding/dropping all classes. Instructors cannot drop you from a course. Through myNMSU, you have the power to add, change, or drop classes from your registration list. This enables you to structure your time and schedule the best way possible and allows for freedom to alter your schedule at will. To understand how to do this, follow the steps below. Visit the myNMSU homepage at, https://my.nmsu.edu. 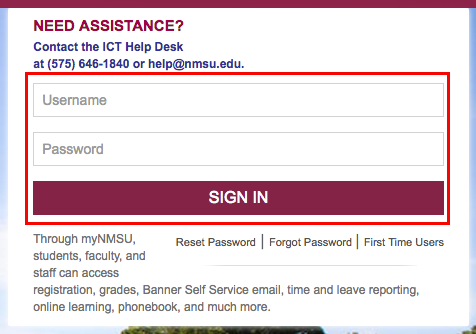 Once here, input your myNMSU Username and Password in the appropriate fields. Once logged in, select the Student  tab from the menu links listed on the top left corner of the home screen. 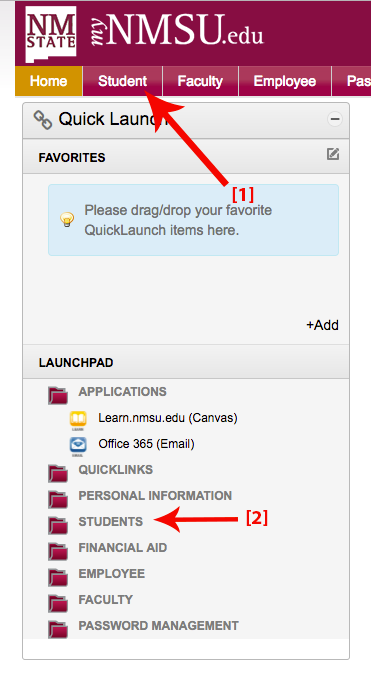 Note: Student information can be accessed via the Students  menu within the Launchpad menu. Using this menu may change the steps needed to perform this task. 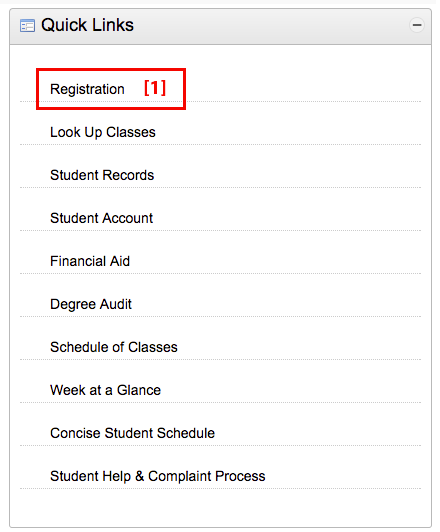 From the Student page, select Registration  from the Quick Links menu displayed along the right side of the screen. After selecting Registration, you will be redirected to the Student tab displaying the Registration Term page. Here, toggle the Select a Term:  menu to find your current semester and year. Once selected, click Submit . Next, you will see the Registration master page. From here, select the Add or Drop Classes  link from the list. This will display your current schedule list. Locate the course you would like to drop, then from the Action column, expand the drop-down menu for the class you would like to drop and select the Web-dropped option. After selecting Web Dropped for each class you would like to drop, click the Submit Changes button at the bottom of the page. Search for the class you would like to add by selecting the Class search button at the bottom of the page, or by selecting the student tab > registration > current term > Look up classes. 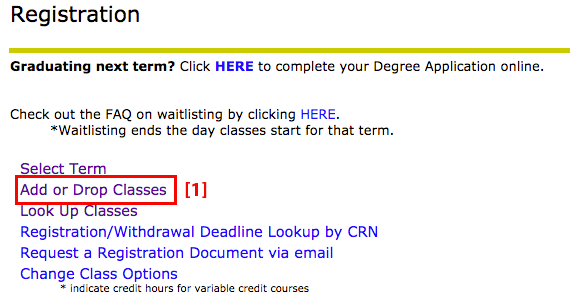 Both of these options will redirect you to the Look Up Classes window listing offered subjects.